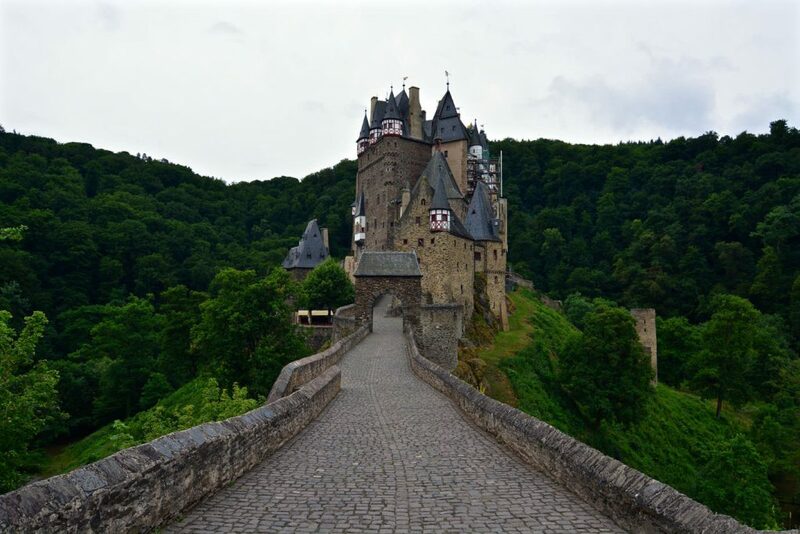 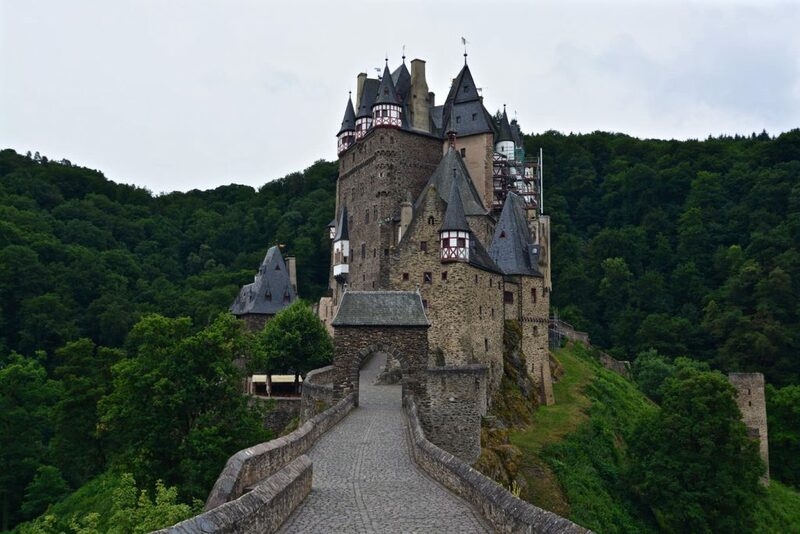 Eltz Castle is situated near the community of Wierschem in Rheinland-Pfalz, Germany and is surrounded on three sides by the river Elz. 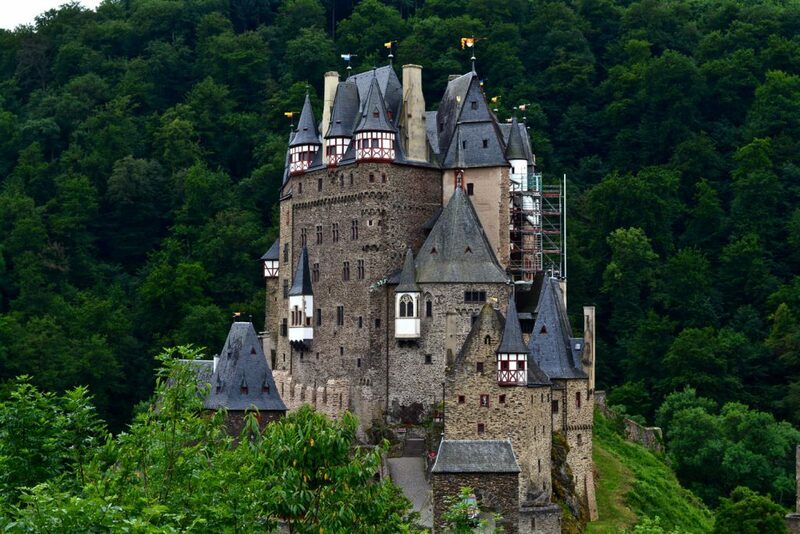 Eltz Castle is a so-called Ganerbenburg. 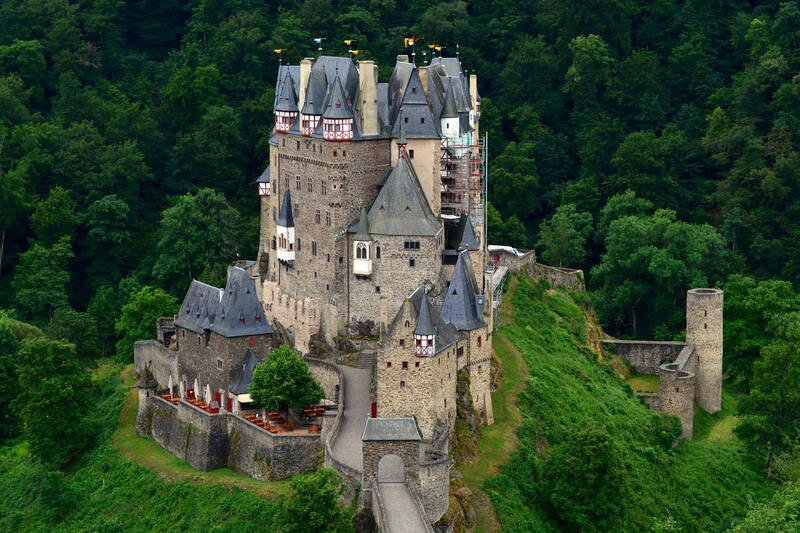 This means that a castle is occupied by a community of families. 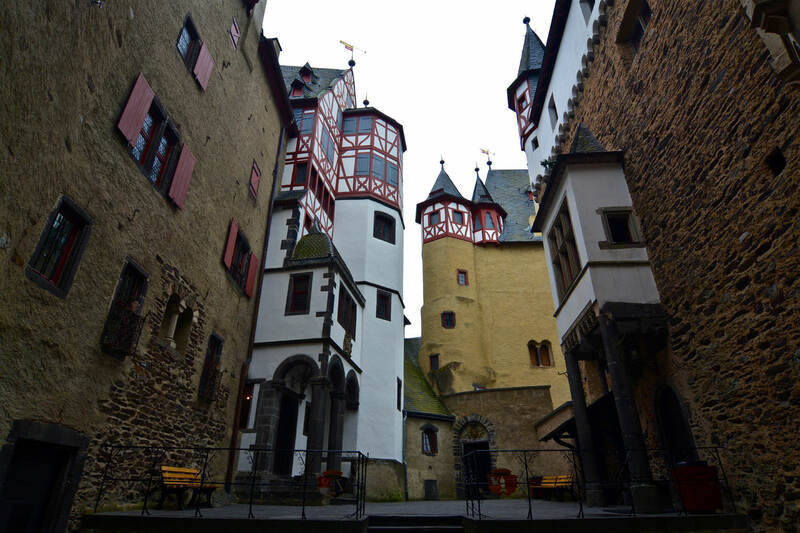 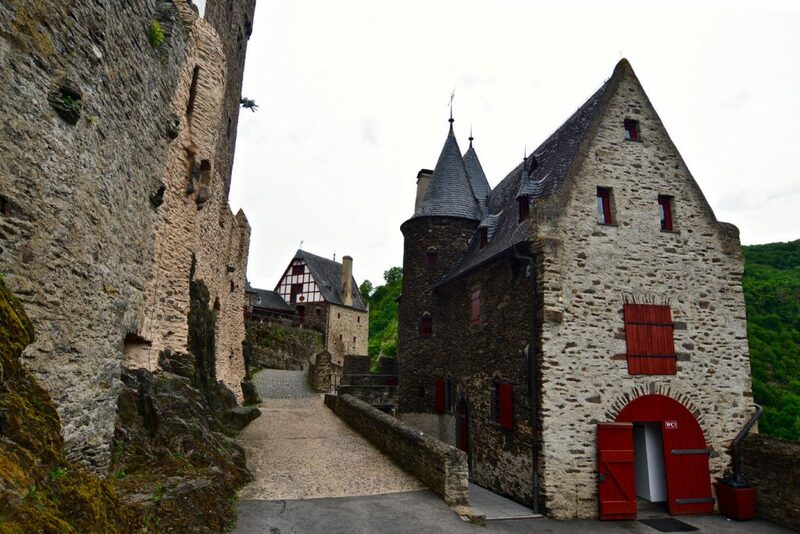 In the case of Eltz Castle the houses of Kempenich, Rübenach and Rodendorf lived there together. 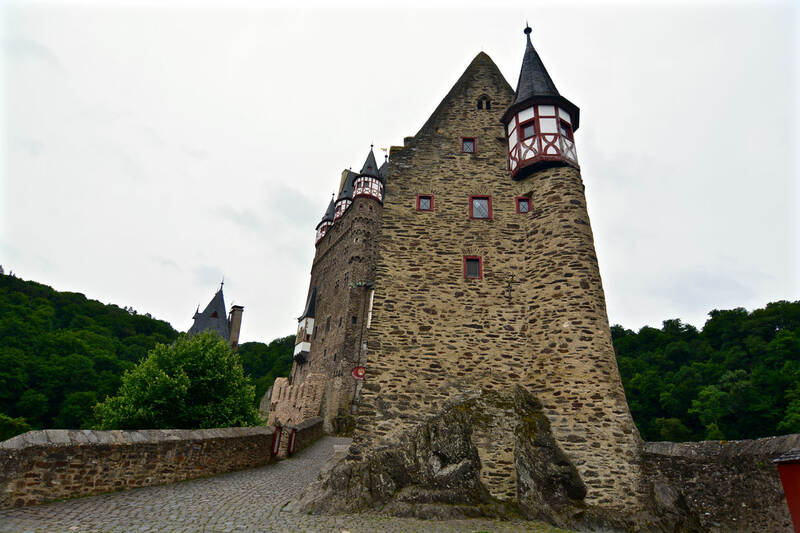 The first part of the castle, the so-called Platteltz, – which is a Romanesque keep – was already built at the beginning of the 12th century. 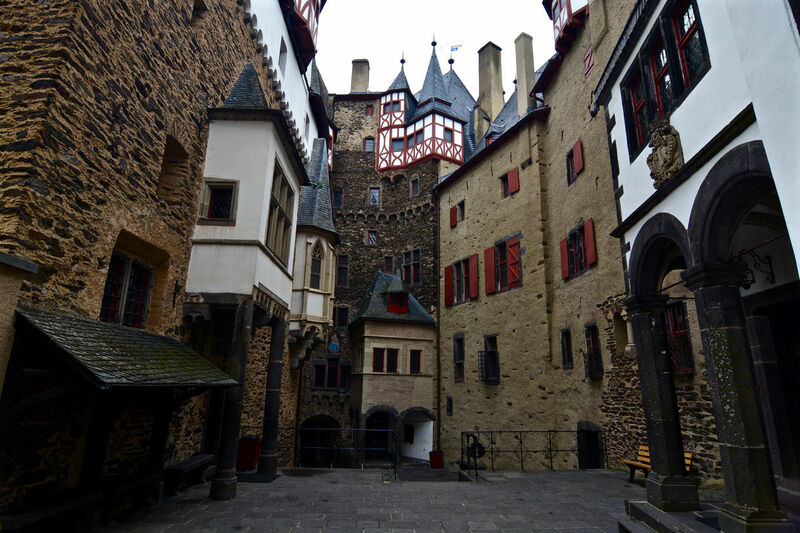 Later on, the parts of the different houses were added. 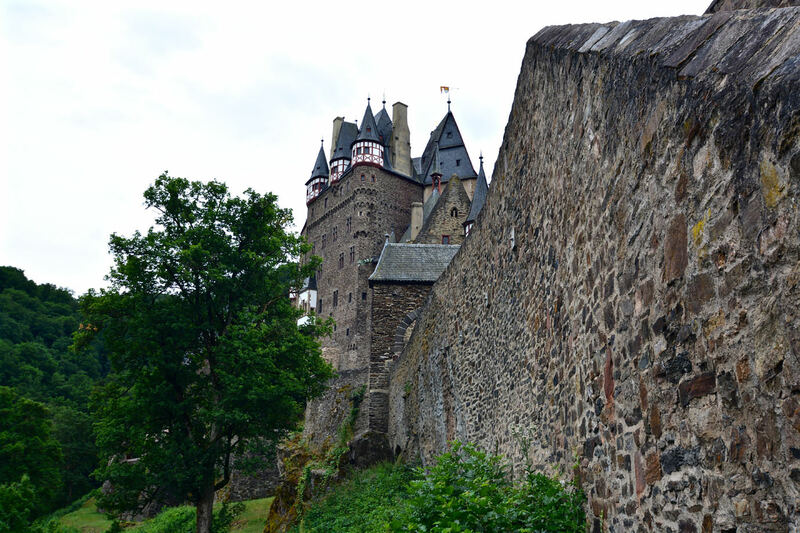 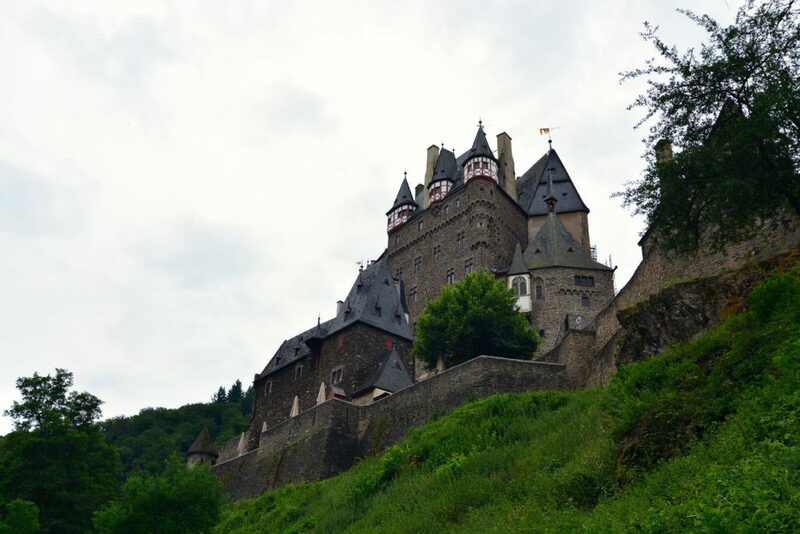 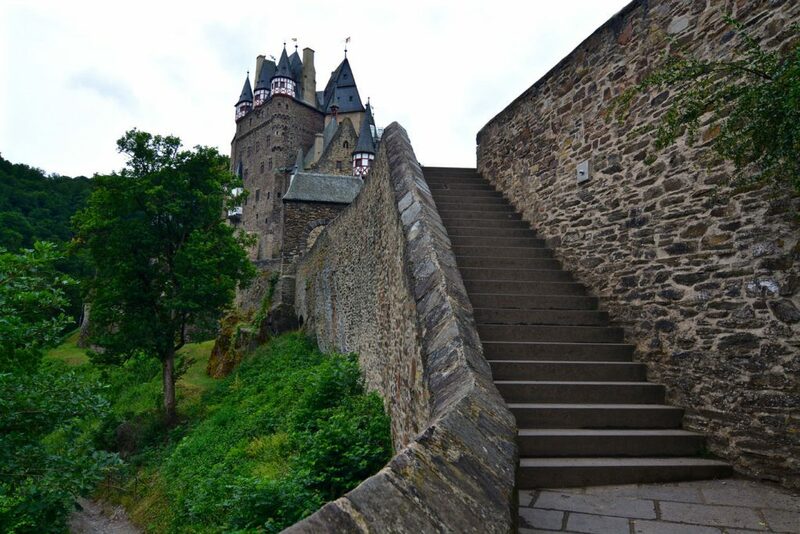 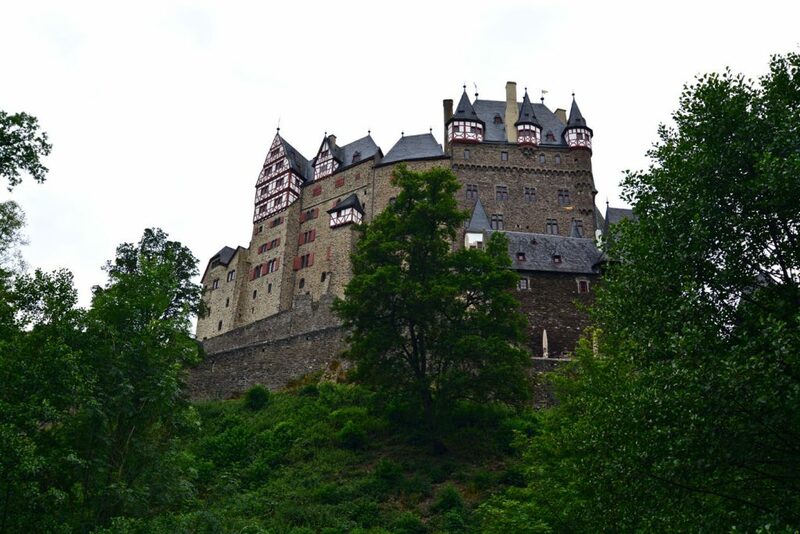 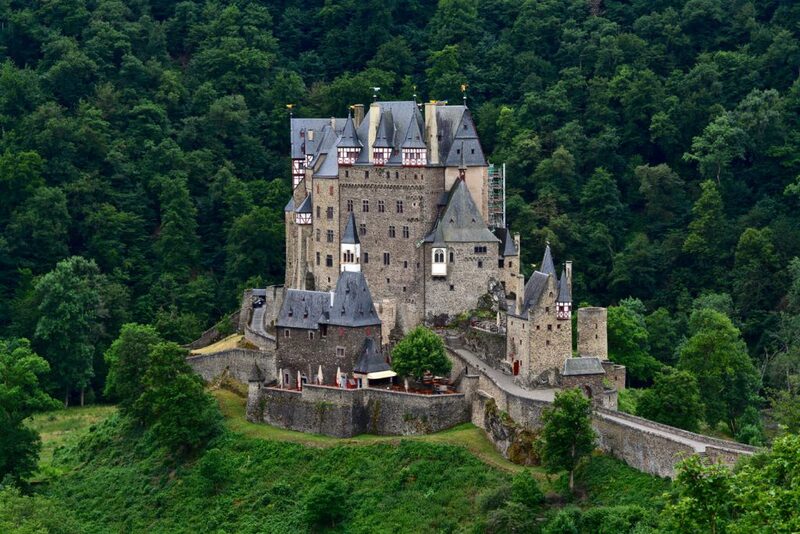 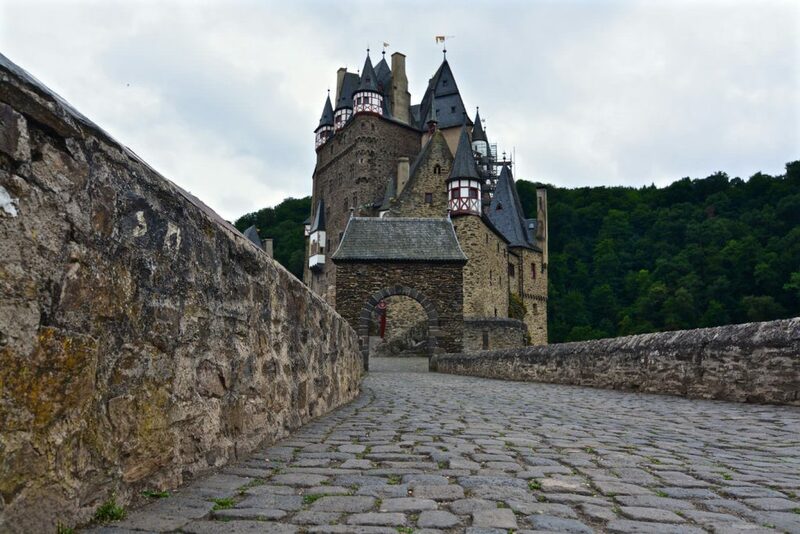 Since 1815 the castle is owned by the Eltz-Kempenich family. 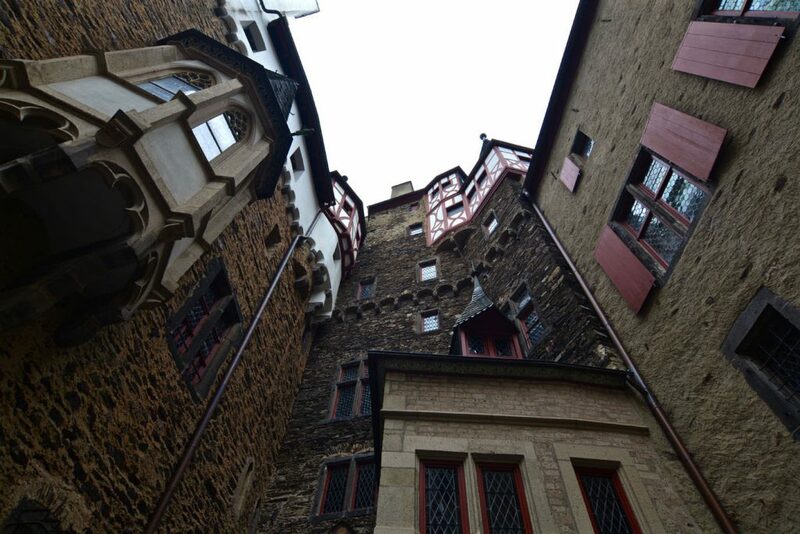 Today the castle is open to the public and can be visited daily, except during winter.